Question: I’m carrying about $12,000 on nine credit and store cards, and the interest rates are killing me. I already rolled over the balances a couple times to low-interest and zero-interest cards, but I blew through the introductory offers. But I own my condo, and if I refinance it, I can probably cover what I owe. Should I refinance my mortgage? There are several things to consider. Let’s start with the easiest and proceed from there. On the surface, this is a simple question to answer. Interest rates on a home refinance are much lower than those on credit cards — around 5 or 6 percent versus 16 or 17 percent average for credit cards. So taking a cash-out refinance to pay off the credit cards would certainly lower your interest costs. Another alternative would be to get a personal loan, which has rates from 7 percent and up. That’s higher than the mortgage, but it could still be lower than the credit card rate, depending on your credit profile. A particular concern, Debbie, is that you said you “blew through the introductory offers.” So you have already attempted to lower your interest cost, which was smart. However, for this strategy to be most effective, it’s important to not add new debt, but instead, work toward paying off the debt. With nine cards in total, it may be that you have been rolling over balances to new cards and then building up more debt on both the new and old cards. Hence, you are not making progress on lowering debt. 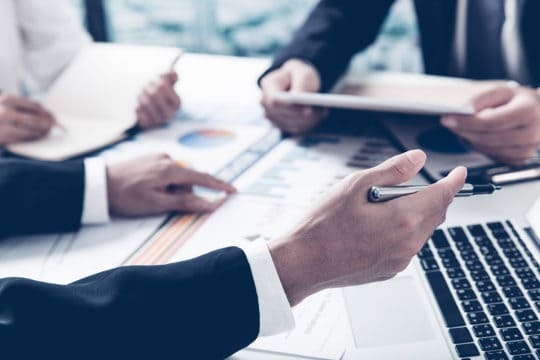 Nine accounts is a lot to juggle, and you could benefit from a tool like myLendingTree, which uses algorithms to suggest debt consolidation strategies. This could help you find the best options for your particular personal financial situation. There is also a wealth of educational material that will help you improve your credit score and debt management. Just to confirm my information, I asked my friend Matt Schulz about your situation. Matt is chief industry analyst at CompareCards. Matt is also wary about refinancing your home, but he can see a scenario where it works. Tendayi Kapfidze is chief economist for LendingTree. Question: I owe about $80,000 in credit card debt across something like 22 accounts. I make slightly above the minimum payment on each, but I’m probably going to be missing payments. Between a full-time and part-time job, I make about $35K-$40K a year. I have a wife who makes a good salary, but she owes $1,000 a month in student loans. She’s in a debt management program, but I don’t know if that’s the best solution for me. I’ve been in contact with debt management and debt settlement companies, who have given me multiple offers. There are positives and negatives for both. I’ve also contacted a bankruptcy attorney, but my assets outweigh our debt due to my wife and I owning an apartment. We currently have a negative balance in our account and after we get paid next week, we might still have a negative balance. I’m still not sure what is the best solution for me. Help! 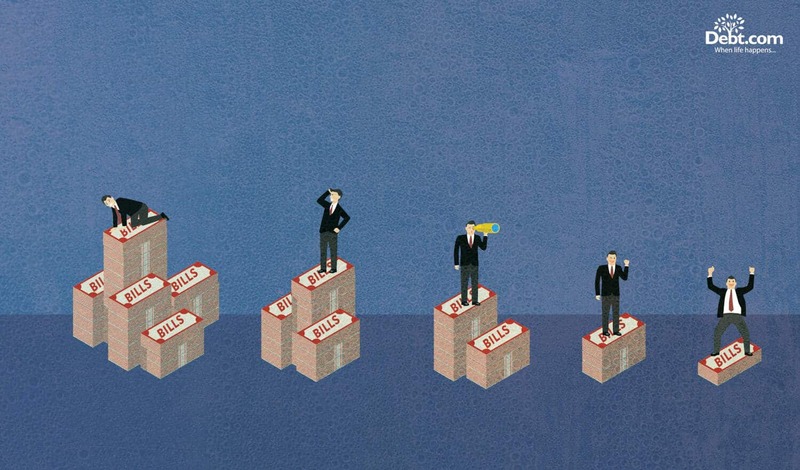 If you tell many people that your household income is $78,000 a year, they won’t imagine you’re mired in debt — especially when the median household income in this country is just over $59,000. Sadly, what you earn has very little to do with how much debt you have. I’ve counseled millionaires who owed more than they could pay. Some have declared bankruptcy. I have three incomes, no kids, but I have a lot of debt. I’ve learned a lot in my quarter of a century as a CPA and financial counselor. Maybe the biggest lesson is this, going into debt has almost nothing to do with how much money you make. I’ve met millionaires who are actually paupers because they’re living larger but borrowing bigger. In Michael’s case, he’s not a millionaire but he makes well above the median income for U.S. households. Yet, two things are dragging his marriage down: credit cards for him and student loans for his wife. They make $6,500 a month. Yet, they might have a negative balance this upcoming month. Since he and his wife both have good incomes, no children, and no other real major expenses the first thing he should do is speak to a professional who can help him with a plan to pay down his debt. Why? Because he has options right now. Thankfully there are programs specifically designed for credit cards and student loans. A debt management program can reduce monthly credit card payments by 30 or even 50 percent. Some of his debt may be eligible and better suited for a debt settlement program. And the federal government has a slew of programs to reduce monthly student loan payments. How do you find help? It’s easy as visiting Debt.com. And don’t forget to sign up for our newsletters for more great advice. What are your best debt relief options? This first step is the easiest. It’s also free. You simply call a nonprofit credit counseling agency and speak with a certified credit counselor. You’ll get a free debt analysis that’s so comprehensive, you’ll probably be surprised to learn exactly where all your money goes. This is important, Michael, because you’re not even sure how many credit cards you have (“something like”) and how much debt you’re carrying (“about”). Your predicament requires specifics to solve. Read more: What Is Credit Counseling And Why Do I Need It? The best way to get rid of credit card debt is known as a DMP. It can reduce your monthly payments by 30 to 50 percent and freeze all your late fees. Sound too good to be true? It’s not. Your credit card issuers will forgo much of their profits to get paid back the principle you owe them. There are restrictions, however. For instance, you must cut up your credit cards — because you can’t ring up new charges if you owe a bunch of old ones. It can also take months or years to complete a DMP. Still, once you come out the other side, you’re financially free. Almost every DMP client I’ve known has said it’s worth it. The federal government is worried about student loans. Why? Because the total student loan debt in this country is approaching $1.5 trillion. That’s more than all the credit card debt out there — by almost a third. Knowing which plan is right for you requires some studying, but Debt.com can introduce you to some experts who can help. Finally, you might have the option to pay less than you owe. That’s called debt settlement, but I only recommend it after you’ve exhausted the other possibilities above. Why? 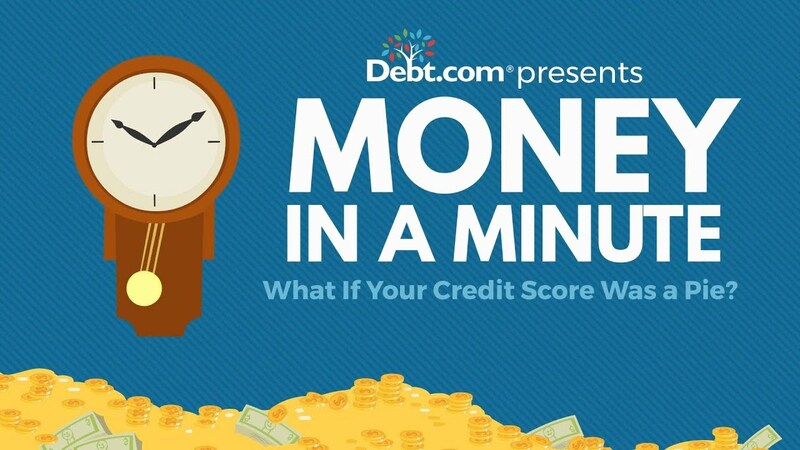 Because debt settlement severely damages your credit score, it’s a complicated process, and there are unscrupulous people out there who will try to take advantage of you. Debt settlement is a legitimate and powerful option, but it’s also a serious one. So you should consult an expert first. 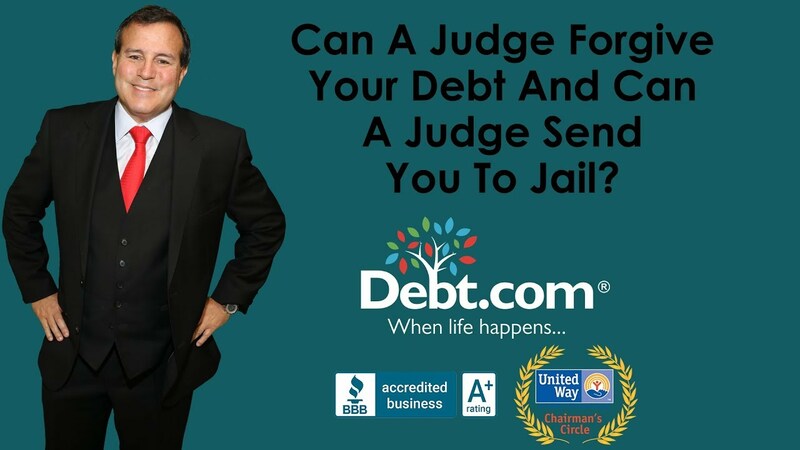 Debt.com can help you. Bottom line, Michael: You’re not alone with this problem, and you’re not alone with the solution. Question: So I have $21,600 on 12 credit cards, which I ran up because I got killed in my divorce and needed to fix things around the house, from little to big — like a new HVAC. I just got back on my feet to where I don’t need to ring up more credit card balances, but I don’t make near enough to pay them off, either. I keep hearing radio commercials on the sports shows about debt settlement, and I see you guys offer that and debt management. Here’s the thing: They sound a lot alike, and they both seem shady. No one will help me get out of debt for nothing. What’s the catch with both of these things? And what’s the damn difference? And what’s it mean when you guys keep talking about “certified” this and “accredited” that? This question is a version of one I’ve heard for two decades. It boils down to this: Are there people who really want to help me get out of debt? 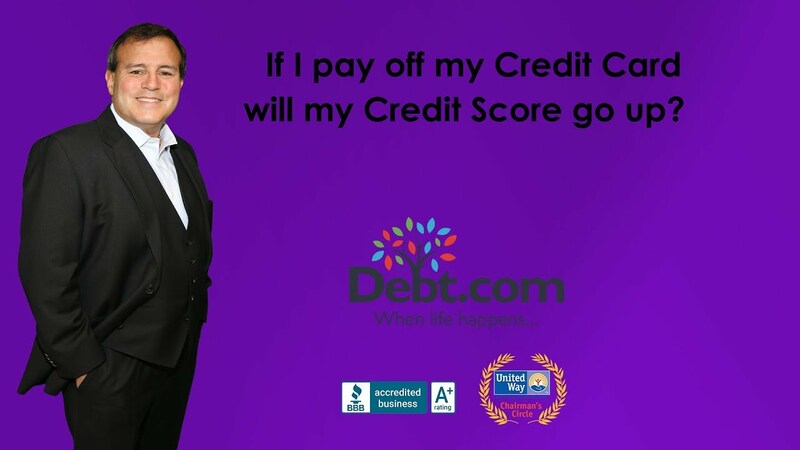 Or are people in accredited debt relief just looking to take my money and put me deeper in debt? When I tell them a credit counselor can refer them to a debt management program that can cut their total debt by 30 to 50 percent by reducing the interest and getting them on a strict payment plan they say “no way what’s the catch”. And, when I tell them how debt settlement works they’re equally as stunned. They are shocked to find out that some creditors will take just 40 or maybe 50 cents on the dollar of the full amount they owe. When I tell them they’ll pay a fee that’s a fraction of what they’ll save they can’t even believe it. I tell them what I’m telling you right now, believe it, but do your homework because the key word here is accredited. 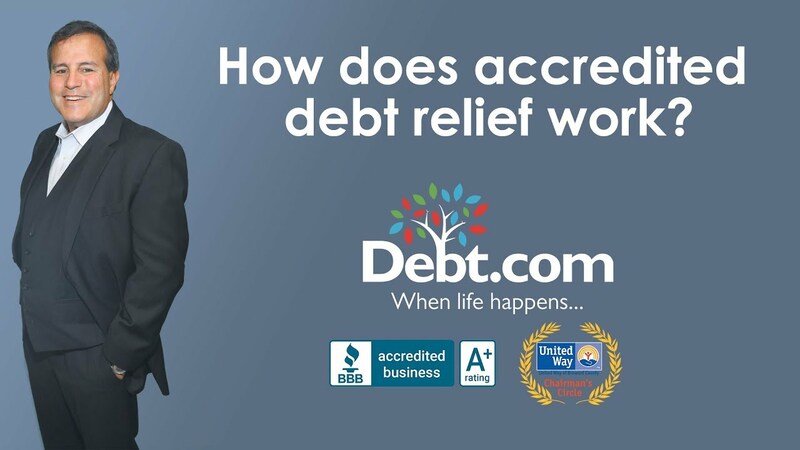 I don’t have to tell you there are shady people in every line of work but if you actually seek out an accredited debt relief agency that has an A rating or better with the Better Business Bureau and great client reviews you’re probably in good hands. How do you find the right agency well that’s what Debt.com is for. We’ll introduce you to the best experts out there and then you’ll believe. Now here’s the long version. Let’s start at the very beginning of Simon’s letter. I meet clients all the time who are barely making ends meet, but when they come into some money, spend it on a vacation or a new car. When I suggest an emergency fund, I often hear, “But nothing bad has ever happened to me!” As Simon learned, it can happen to anyone. Also, if you don’t know what an HVAC is, it’s a huge household expense I’ve written about before (How Can I Stop Sweating About My HVAC Loan?). The moral of the story: Everyone can and should have an emergency fund. While the two terms are similar, they’re actually quite different. For more on the topic, check out this reader question I answered last year: Is Debt Management Or Debt Settlement Better For Me? Based on the limited information Simon provided, I can’t advise him which is better. In fact, that’s what a credit counselor is for — and that strikes at the heart of Simon’s doubts. If you consult a certified credit counselor at an accredited credit counseling agency, you’ll learn which is best for you. Of course, as I said in the video, there are charlatans out there. You can spend an hour searching online and find reputable experts to deal with, or you can call Debt.com — because all the experts we work with must sign our Code of Ethics. That code obligates our partners to do right by you, and if they don’t, it obligates Debt.com to fix it. Thankfully, we’ve never needed to invoke our Code of Ethics, because in five years, we’ve never had a serious complaint from a client. So the bottom line, Simon: Do your own research or call us. Either way, there are good folks out there who will help you. 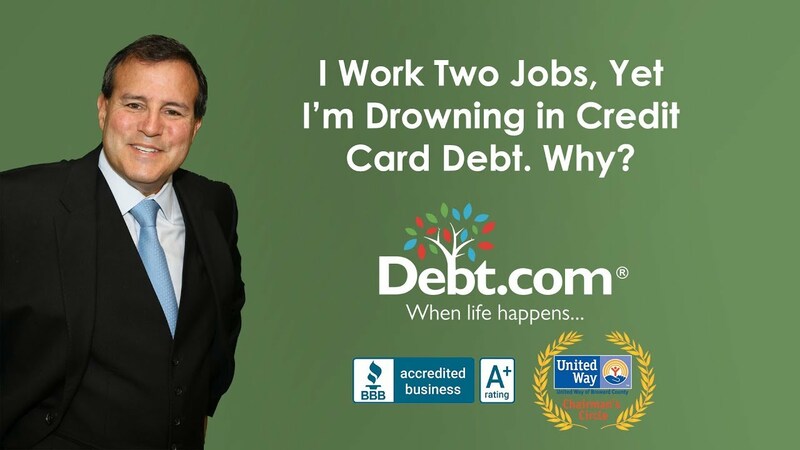 If you need relief from credit card debt, let Debt.com match you with an accredited debt relief service now.